This is a sponsored post created by me on behalf of Wrapped in Love. All opinions are my own. Cancer. It’s such an ugly word. Sadly it has hit our family hard. My sister Sara discovered she had appendix cancer when doctors found it during a routine surgery. In January of 2015 she went through a horrendous surgery to remove and kill the cancer. Recovery was unimaginably difficult. 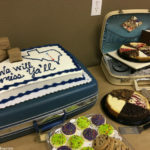 With multiple problems from the surgery and many stays back in the hospital by the end of March she was sent home to find her new normal post cancer with check-ups every six months. This new normal has not been easy as Sara is sick every day, but we are all so thankful she is still with us. Every six months we would hold our breath until the check-up was over, and we heard the words, “Cancer free.” Except that at the last check up we did not hear those words. The cancer is back. We are all heart sick. 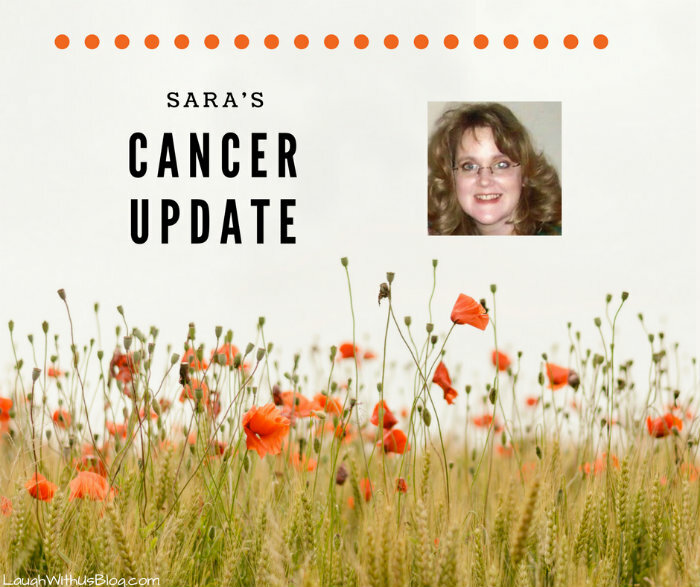 Sara will begin chemo treatments this week. 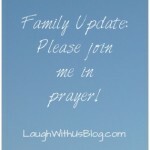 I would appreciate your prayers! In times like these we want prayer, but beyond prayer so many people wonder what they can do. Enter Wrapped in Love! Wrapped in Love was inspired by founder Karen MacDonald’s mom when she was in the hospital receiving treatment for cancer. She didn’t want to have any more visitors, as she felt she looked too bad in her state of illness. Karen designed and created a wrap to provide her with warmth, beauty and dignity. She lit up the first time Karen wrapped her in the garment, and the nurses told her to consider making wraps for others in similar situations. Karen took them up on it – incorporating flowers and rosettes into each of her products as a tribute to her mother, who loved gardening. I recently sent the link for Wrapped in Love to my sister. The first thing she said was that she wished she had had the picc line sleeve after her surgery. She would recommend that for anyone having to have a picc line. Today Sara goes in to have her port put in and to begin chemotherapy this week. 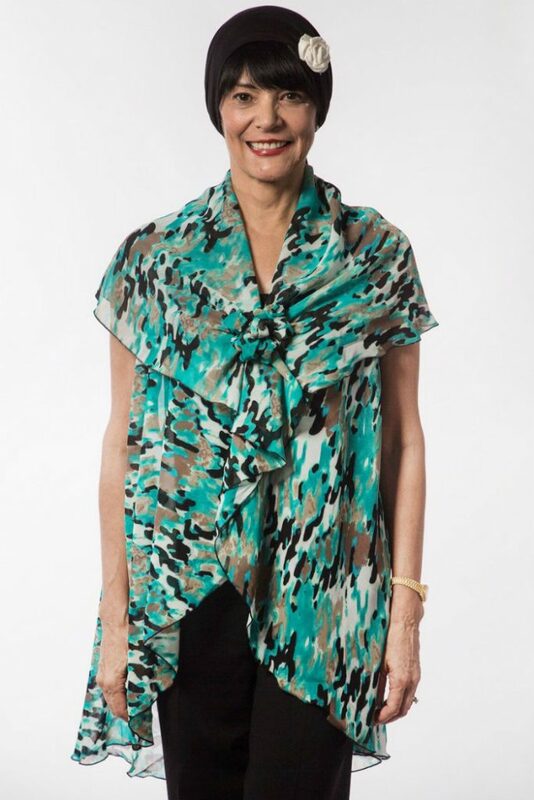 A couple of weeks ago I asked her what she would like from the website, and she immediately chose this beautiful Teal Leopard Print Lightweight Polyester Wide Sleeve Kimono that is port accessible. I would never have thought about her needing port accessible chemotherapy clothing. This will be a great, comfortable, easy to put on, cover-up for chemotherapy appointments. It’s so pretty and fashionable! I am so happy to be able to gift this to my sister. 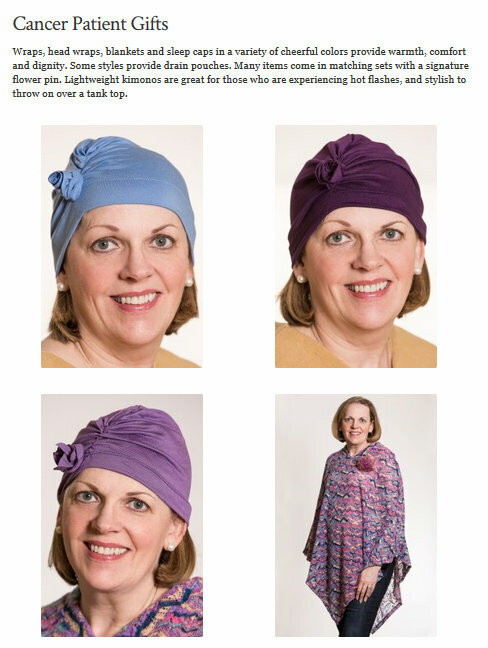 Wrapped in Love offers fashionable clothing and accessories for women with cancer or those convalescing, including wraps, head wraps and other fashion accessories to provide warmth, comfort, beauty, style and dignity. Aren’t the socks fun? You can find coordinating accessories to put together a complete outfit! A new outfit always brings a smile. I really appreciate your prayers for Sara and our entire family as she begins this next step. We want her to feel Wrapped in Love in every way! You may not know Sara personally, but chances are someone close to you is going through a similar situation. 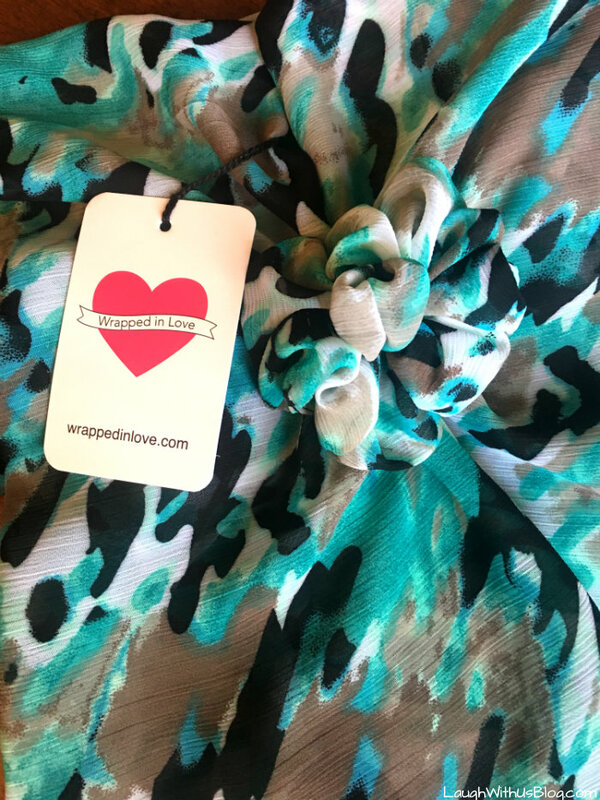 Whether you’re looking for Chemotherapy gifts, clothing, head wear, or head wraps, Wrapped in Love is a great place to meet someone’s need in the most beautiful of ways! Bless your sister and your family for all you’ve dealt with. Cancer is an ugly thing that affects so many. We have had so many family members directly affected. It hurts. 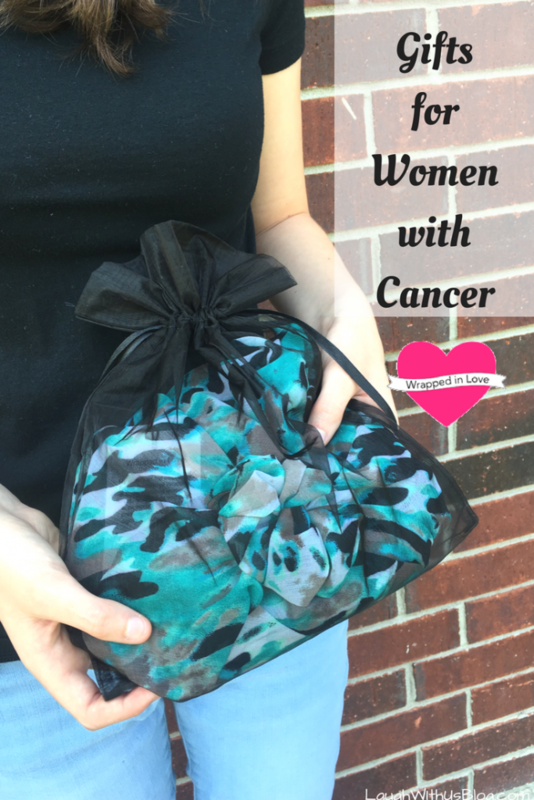 I love the products mentioned and will remember these as gifts for loved ones affected by cancer. Thanks for sharing. Healing wishes to your sister. I pray that my whole family doesn’t have to suffer the fate of cancer. I feel for your sister!! Thank you! I wouldn’t with it on anyone. My thoughts are with your family during this difficult time. 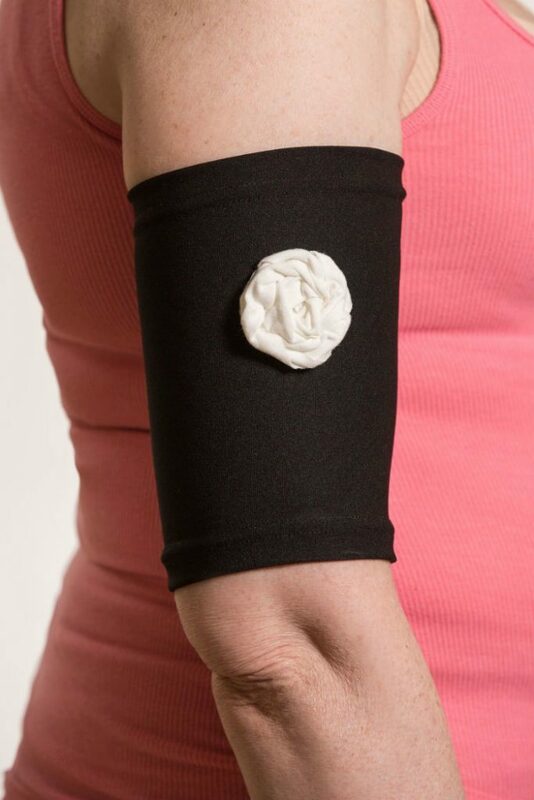 I had a friend that had a wrap for her arm port that she really liked after going through a ton of options–it made a big difference for her! Thank you! It’s so good to know the arm sleeves are available. God bless her. I pray for complete healing! These gifts are great ideas. I am glad you posted! This is such a great organization, Wrapped in Love is also a perfect name for this. I am sorry to hear about Sara, I cannot even imagine. My first born had to watch a close family member deal with cancer, it was so hard on her. Hugs and love! It must be so hard to see your sister going through such a difficult time. I hope that she is improving – keep us posted. These products sound nice, and helpful. My daughter had a picc line for a short time and the arm sleeve would have been very useful. Thank you, Marysa! The surgery yesterday went well, but they have pushed back the chemo treatment until next week. I think Sara is relieved to have a few more days. Your sister will be in our prayers! What an incredible line. I will definitely be passing it on to those that might need something. When my mom went through cancer, she could have used some of these. I could have used that wrap when I had a pic line, it wasn’t for cancer but i still had the annoyances they provide. Glad this is helping your sister. Thank you! So sorry your mom had to go through cancer as well. I feel sorry for what happened but I am thankful that she is fighting against it. I know and I believed that she can overcome it. She is fighting and I am thankful for that. We need her! Prayers and hugs for your sister and the whole family. I hope everything will be better soon. Very sorry to hear about this. I think that this organization is amazing though. It’s great to see things like this out there. Love the socks too! I added Sara to my prayer list, the special one I have for those with cancer. I am a cancer survivor and I believe two things helped me: one was a positive, can do attitude and two was the power of prayer. Thank you so much, Terri! I’m so happy to meet another survivor! Cancer is an ugly monster. It helps having family like you though! I need those socks BTW. Cancer is so horrible 🙁 We’ve dealt with it too much in our family. I pray for healing. I love the socks!! Cancer has hit my family multiple times, it is such an ugly disease! Your sister and your family are in my prayers! Sending lots of love to you, your sister, and your whole family. Thankful you found a way to share some joy with your sister during this difficult time in the form of fashion. It looks like a wonderful line of clothing and accessories. Cancer has hit our family and friends really hard. I just lost a friend in her thirties to cancer and it was devstating! Oh gosh I am so sorry to hear this. So much love to your sister, I hope that she makes a full recovery. Thank you, Sue! Prayers for your mom too! 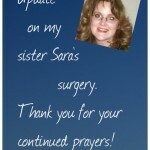 Praying for Sara – and for all of you who care for her and love her.